Article by Katy O’Dowd ©. Around this time last year, I went on a trip to Dublin to attend a KDP event and met up with an old with a friend of mine, who mentioned that she was thinking of going to get her master’s degree. During said confab, it transpired that you could get onto some higher degree courses without having done a primary degree first thanks to a qualifier points option taken from professional experience. A sudden rush of blood to the head and a few short weeks later I found myself in the office of Dr. Kenny (the course director for the NUIG’s MA in Writing) raving about a variety of authors from Jilly Cooper to M.R. James. I would have to do an essay to get in, cue the frantic search for exactly what that involves. Which is how I found myself driving, on a Wednesday morning at the start of September, to drop small son with his grandparents for breakfast so that I could attend my first class. Small son skips off lightly, as well he might with the monetary deal he has wrangled out of me to make up for me losing Wednesdays with him. Oh boy, is there a steep learning curve. If I had any conception of a Gilmore Girls experience lingering in the back of my mind, it didn’t last long. For example, the email mentioning the hoping that your preparations are going well for starting the course left me stupidly confused. Did that mean it was time to get buying stationery? No problem! I’d say I should be at least Board Member level of Paperchase and/or Amazon by now. My first purchase was a sparkly rose gold pencil case. After which I decided that I was getting too pent up about the email and continued my shopping spree with obviously highly-scholarly items including lots of t-shirts with pictures of cats on them. I’m very fortunate that big son attends the same university, so he was able to tell me where all the lecture rooms are, the best places for tea, and – dear god – stationery. That he is not ashamed to be seen with his mother is a massive bonus. So between the son, the sparkly pencil case and the grandparents I was off to a good start. A few weeks later and I have learned to loathe the early start of Wednesdays, 6am. I’m starting to realise that I really am spoiled, and I miss my usual relaxed writing life with an intensity that startled me. Where are my writing fluffy boots, my writing mug and my writing cat? (Love cat can’t write, I hasten to add, she’s blind). Not to mention my muses, the pugs Christopher Lee and Edgar Allan Pug. I give the cat a kiss, the dogs a hug and myself a stern talking to. After which I have to go back online stationery shopping to make it up to myself as I was a bit too stern with me. I decide that writing is obviously the life for me, and put on my big girl pants to go back into uni to see what I can learn from the experts to improve on what I do. In a way, it’s little like learning a new language. Ah. It’s just taking things at a different pace then. I have also come to realise that I am crazily organised – when you work around school hours you have to be, or so I tell myself. Let me talk to you about essays. So you think you can write? Ha! If like me you have experience in non-fiction and fiction, it does not mean that you can automatically switch to being the most fabulous university essay writer on the planet. Well damn. While I’m at it, what about feedback. Oh my word. Or in my case, lots of them, thrown slapdash everywhere and including every kitchen sink known to man in a first draft. There are two people in this world who get to see my first drafts – Dad who is my writing partner, and big son who lets me away with nothing. Usually, I write, re-write (lots), and have a book pro-edited before it goes anywhere. So having to submit your little shivering naked words and sketchy plotlines to the fiction class for feedback is a brand new experience to me. My classmates are lovely. My lecturers, and indeed other university lecturers, are very generous with their knowledge and their time. The other class I have taken is publishing, which I love. 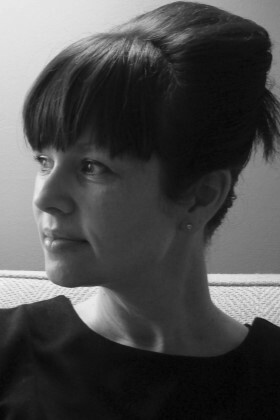 It overlaps with another MA degree – Literature and Publishing. I sit, the only MAW student in the class, like a cuckoo in the nest and both lecturer and students couldn’t be nicer. We went on a publishing day trip to Dublin and sighed in pleasure at massive stacks of paper. It’s like grown-up stationery and book heaven. I am content. I am among my people. On a Thursday afternoon, the great and good of the Irish publishing world come and talk to us. Tramp Press have been, Kate Kerrigan, Kevin Barry… I’ll tell you all about it later in my next dispatch, these end of semester essays won’t write themselves you know, and deadlines loom. 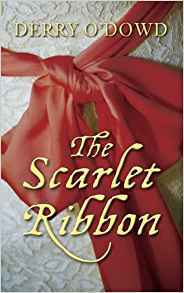 The Scarlet Ribbon follows James Quinn, a young Irish surgeon battling prejudice, suspicion and personal demons in his controversial quest to change the face of medicine. Following his marriage, tragedy strikes, thrusting James into a life of turmoil, alcohol and despair. Throwing himself into his work, the young surgeon eventually begins to find solace in the most unexpected of places. From the backstreets of Paris, through the glittering social whirl of London, and finally back to Ireland again, this is a story of the thorns of love and the harsh reality of life in the eighteenth century, where nothing is simple and complications of all kinds surround James Quinn, man midwife.